The three talks will be based around a central theme of international cooperation in the European design sector. Each talk will explore a different facet of design: education, policy and industry. The talks will be moderated by Oli Stratford, editor-in-chief of Disegno; Joseph Grima, founder of architecture and research studio Space Caviar; and Johanna Agerman Ross, founding editor of Disegno and now curator at the V&A. Confirmed speakers include Orhan Nikšić, CEO and co-founder of Zanat; and Alexis Georgacopoulos, director of ECAL. The full list of speakers will be announced shortly. 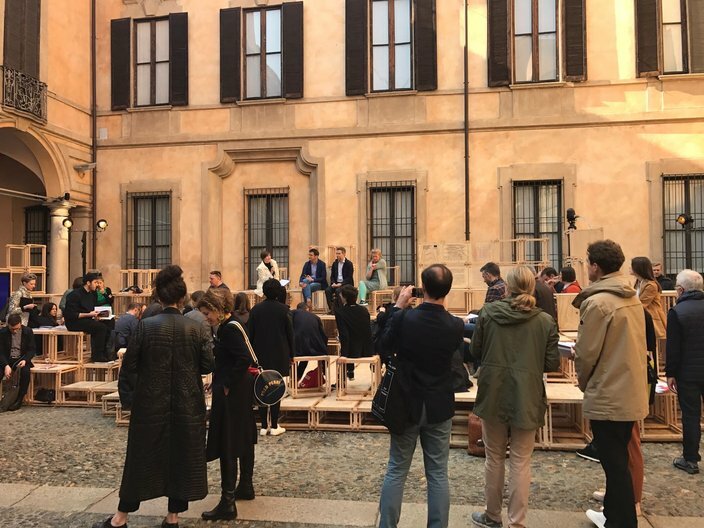 The talks will be hosted in the courtyard of Atelier Clerici, a neoclassical palazzo in central Milan. 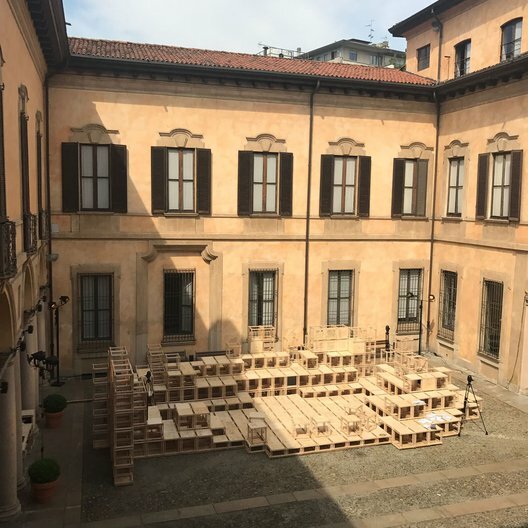 During Salone del Mobile, the courtyard will be occupied by Matera 2019, with an installation designed in collaboration with the Open Design School. This installation will take the form of an open area and stage in which Disegno and the British Council's talks will take place. 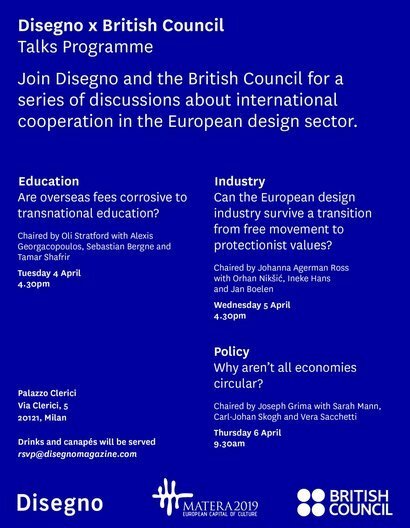 Full details of the talks can be found at DisegnoDaily. The talks are free to attend with drinks and canapés served throughout.